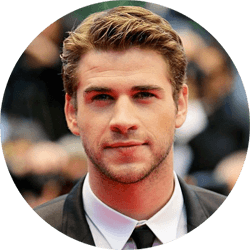 Liam Hemsworth was born in Melbourne, Australia though he also spent much of his childhood in the Aboriginal town, Bulman. His two older brothers, Luke and Chris, are also actors. Hemsworth moved to the United States in March 2009 for screen tests. He was selected to star opposite of Sylvester Stallone in The Expendables (2010), but his part was written out of the script. He later co-starred in The Expendables 2 (2012). He got his break when he was asked to play the role of Gale Hawthorne in the Hunger Games (2012).